Seasonal heavy rain continued across the NT Top End, including falls from ex-TC Raymond across the Barkly Tablelands. Details are in the Wettest and Downpours sections. Rainfall for the 24 hours to 9am was heaviest in the western Gulf rivers and the Georgina (the river basin unnamed in the bottom left corner of the map). During the day the area of heaviest rain moved into the Leichhardt and Flinders basins. 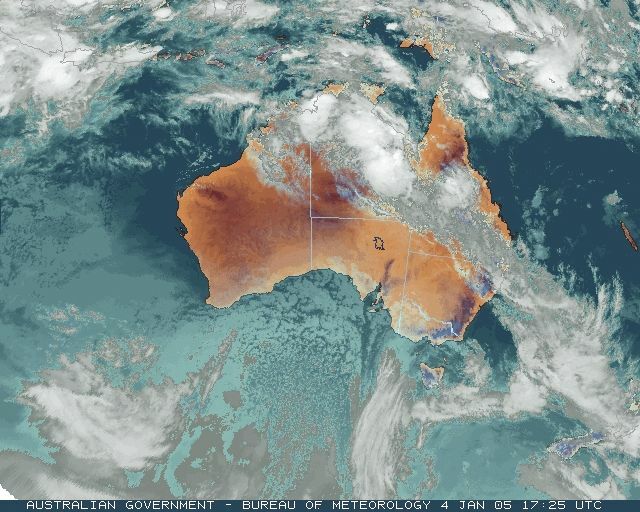 The remnants of TC Raymond drifted slowly east along the monsoon trough today, crossing into the QLD Gulf Country late this evening. 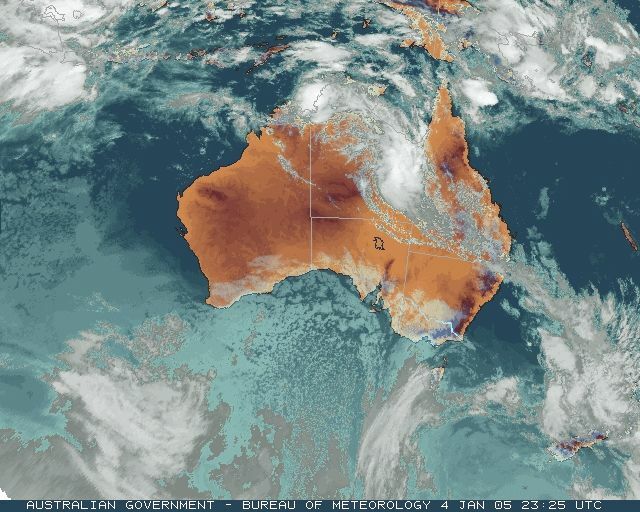 The moist northerlies on the eastern side of the low brought prolific rain to the Gulf and Channel country, and minor flooding began this morning in the Nicholson and its more southerly tributary the Gregory, which flow into the Gulf at Burketown. High rainfall figures for the 24 hours to 9am in NW QLD included 121.8mm at Camooweal, 97.7 at Urandangie, 95.8 at The Monument Airport (120km SSE of Mt Isa) and 88 at Trepell Airport, 50km farther to the NE. Heavy rain and thunderstorms continued in the areas to the north and south of Mt Isa through the day, with The Monument recording a further 83 and Trepell 62mm to 9pm. 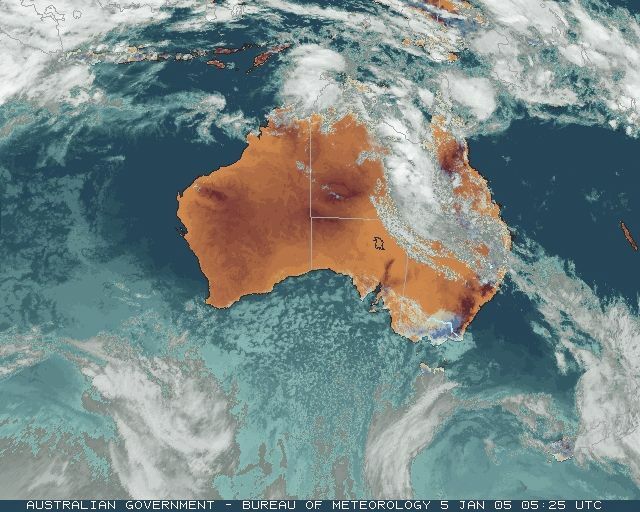 The Cloncurry area to the east of Mt Isa received little rain to 9am, but Cloncurry Airport recorded 87mm to 9pm and a further 65mm to 9am Thursday. Minor flooding began in the south-flowing Georgina River at Urandangie during the afternoon and in the north-flowing Leichhardt and Cloncurry Rivers during the evening. The combination of heavy cloud cover and an influx of cooler southern air produced exceptionally low daytime temperatures. 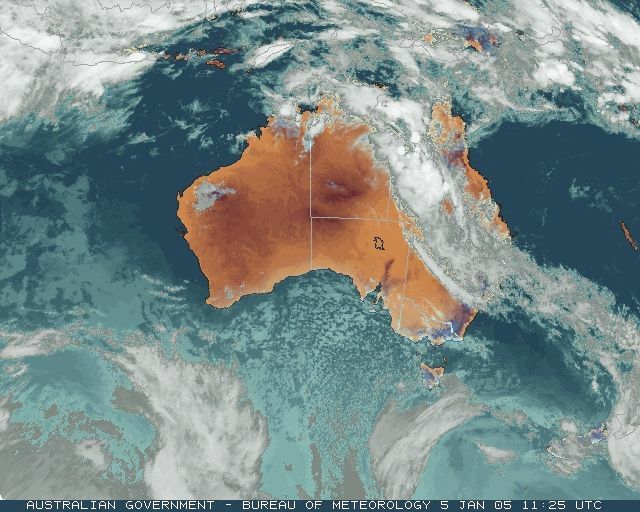 As the maps show, a large area of western QLD and the eastern part of the NT south of Mt Isa struggled to reach 20C, with Urandangie's top of 22.2 some 16.5 below average. The midday reading at Boulia was a staggering 16.2. These records are as received at 1018 EST on 05/02/2006. Help in interpreting these statistics and information on quality control is here. Data is as received at 20:04EST, 14/05/2012.